Big thanks to James Baginski who alerted me to a special report in The Economist before the holidays. It is called "All the world's a game" and is a collection of up-to-date observations about the game industry that most people would benefit from knowing. Debunking some myths, the article explains that the average gamer is not a nerdy, teenage boy. According to the Entertainment Software Association (ESA), the average age of the U.S. gamer is 37 years and 42% of gamers are female. If you didn't already know, games are big business these days. Last year's release of "Call of Duty: Black Ops" brought in $650,000,000 in the first five days. Compare to the last Harry Potter film who brought in mere $169,000,000 in its first 3 days. There are also some interesting tidbits about markets for virtual goods and how the Chinese government is looking into taxing the supposedly $1.5 billion-a-year virtual-goods market. And how about those gamers that go pro and can win tens of thousands of dollars in game tournaments, watched by millions of people over the web, and pulling in big name sponsors like Coca Cola and Intel? And then there's the ongoing debate about linking aggression to violent video games, or the risk of addiction, where there is still no credible evidence for such causation. It actually seems the correlation is the opposite if anything. Maybe you can take out your rage in the virtual world instead? Clearly, these things matter, but more important in my opinion is the way games have shifted away from the traditional video game console or PC-based system to hand-held devices and into web applications. This is partly responsible for opening the games to a broader audience, when your phone or a web browser on a library computer can be your point of access. And it also provides opportunities for constant, real-time access, making games an integral part of our daily lives. The American Geographical Society (AGS) needs your help in a matter of vital importance. 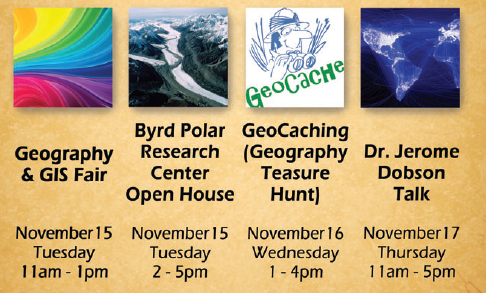 We are conducting a nationwide survey of public attitudes toward geography and knowledge about geography. This is our part in a major study funded by the National Science Foundation. This “Roadmap” project is a joint effort of the National Geographic Society, the National Council for Geographic Education, the Association of American Geographers, and AGS. The overall topic is geographic literacy, a matter of serious concern in America today. We invite all U. S. citizens and long term residents of the United States to take the survey. The only eligibility requirement is that you must be age 18 or older. The results will help guide Federal and state policies regarding geographic education. You may access the survey online by clicking the following link: AGS Geographic Knowledge and Values Survey (If the link does not take you directly to the survey, please copy and paste this URL into your web browser: http://webteach.ubalt.edu/UltimateSurvey/Surveys/TakeSurvey.aspx?s=F30154FD158241D39265B445E3BD5817 ). Based on trial runs, we estimate the survey will take 12 to 18 minutes of your time. Please help us spread the word by forwarding this invitation by every possible means: email, Internet, listserves, newspaper, radio, TV, social networks (Twitter, Facebook, LinkedIn, etc. ), and personal appearances (clubs, local to national groups, public events, etc.). Despite its wide penetration and multi-billion dollar industry status GIS is still arguably only serving a small fraction of our needs. Mike Goodchild talks about this in terms of the 13 percent technology, meaning that GIS generally deal with outdoor spaces and the average American spends only 13 percent of their time outdoors. This leaves 87% of our time not really addressed by the geospatial technology. While this thesis depends on the scale at which you want 'coverage' (being inside my office still will pinpoint my location as 40°00'02N, 83°00'44W and enable many interesting geospatial services), it is interesting to think about the possibilities offered by full coverage inside houses, department stores, etc. Google now introduces "Take Google Maps Indoors" - the ability to navigate some of these indoor spaces on your Android phone. My favorite example is obviously the IKEA possibilities (have no idea what's with the Spanish musical theme!) but it also got me wondering if store owners really want their customers to be able to navigate the store labyrinths easier. I know of some really clever shortcut in the IKEA stores I frequent and it certainly helps me to not be exposed to all the great things I could buy. Airports, certainly a win-win for all, but apart from that?? Why would mall owners want to help customers to be more effective and spend shorter time in the mall? Anyway, GIS seems to be slated for a quick run to become a 99% technology. That last percent would be some unnamed private spaces where I would prefer a total dead zone. Yes, it's that time of the year again and we have an exciting series of events at OSU for GAW this year! We will be presenting some of our game ideas to the larger OSU community during the Geography & GIS Fair on Nov. 15, 11am-1pm in the Ohio Union. Same afternoon there's an open house at BRPC, really cool (I know, bad joke)! We also have a playful Geography Treasure Hunt where anyone can join in a real-world treasure hunting game using GPS to locate clues hidden around campus. Teams of 3-4 participants race through campus to find all the caches on their route. The fastest team wins the grand prize! Finally the event is capped by the presentation "Through the Macroscope: Geography’s View of the World" delivered by AGS President, Dr. Jerome Dobson. I am particularly looking forward to this presentation since the title reminds me of Katy Börner's excellent (admittedly a bit technical) overview of emerging tools to understand the "infinitely complex". GIS, simulation environments (yes, games too! ), mining of massively crowd-sourced data are all examples of such tools. In Katy's words: "Rather than make things larger [like a microscope] or smaller [like a telescope], macroscopes let us observe what is at once too great, slow, or complex for the human eye and mind to notice and comprehend." A related essay by Neil Savage illustrate the growing possibilities for social scientist to tap into massive data sets on human individual behavior, decisions, etc. Twitter is by no means the perfect source for this type of data but it is one of the first to emerge in what can be expected to become a flood of auto-generated, spatially coded, and personally tagged information. Understanding these data flows is critical to its proper use and also for developing alternative, even better data streams. Visual analytics provide one macroscope onto these data flows and can provide stunningly complex and still comprehensive perspectives of seemingly chaotic data. Games vs. Reality - is there a difference? Many times when I speak about our ideas to use Online Map Games as a way to simulate spatial planning and policy scenarios, people object that even if we can get people to use these simulations and act out decisions, they would still only be 'games' and not the real thing. but what is the 'reality' these days. Most spatial planning is carried out through a GIS, using remote sensing information, at a distance, and in front of a computer. I am not saying that this is all good, but it is happening. In the light of that there is a pretty good reason to think that a simulation carried out in a similar environment - using a computer, online maps, remote collaboration - can give us a pretty good idea of what the real thing would look like. NPR today started an investigation into the revelation of Stuxnet and the issue of Cyber-Security. their report provides a captivating story of how a facility such as a power plant, where most operations are entirely controlled by computers, gets 'infected' by a computer worm that allows a remote villain to take over the role of the control room. Sounds like a script from a movie, but the Stuxnet incident, which allegedly infected an Iranian nuclear facility and destroyed, is a very real prospect. The NPR story illustrates how training for similar attacks can be conducted through simulations, essentially computer games, that replicate the setting of a computer based control room where operators are trying to fend off an attack by the enemy team, located in another room and who essentially just takes over control after infesting the control room computer systems. As computer games become more realistic, our reality becomes more like a computer game. Augmented reality games already blend reality with gaming such that a make-believe world is implpanted into reality and is as real as it gets for the participants and even to bystanders. It is now hard to draw a line between reality and games. As we are picking up speed with our NSF sponsored GeoGames project we are starting to untangle some of the very specific details of taking a well-researched role-playing simulation on the Green Revolution, and turning that into a computer game. While the original game is well described in terms of content and rules, there are always small questions left to be resolved. Our team played a short version of the game the other week and one of the participants commented that it was really tough when kids started dying in the family you are responsible for. It was hard to make ends meet, and this is part of the point with the game. There are no easy fixes to food shortage and starvation, and as we are slated to cross the 7 billion marker next week it feels even more important to come up with a variety of approaches to understand and address this big problem. If GeoGames could provide some answers for us remains to be seen but Thierry Gregorius' recent confession at the altar of Big Data is a testament to how fundamental the GIS world is changing. Online Map Games (OMG!) have the potential to bring about massive amounts of individual-level decision making around realistic data, in contexts that embed some of the most pressing issues we face (such as rural farming in developing countries). We are eager to hear from readers of this blog what you think would be useful game scenarios to develop, both from an educational and from a policy perspective. What would be the most important human-environment simulations that we should construct and have thousands of players engage in? One of the meetings that I hope to go to next year is the Games for Change summit. Apparently a high-profile event with potential for good energy. At the center is an organization with the same name that seeks to be a "...global advocate for supporting and making games for social impact." See http://www.gamesforchange.org for more info. Through their newsletter I saw this really nice summary of some great things that games have done for society. It includes high impact testimonials from classrooms, the developing world, and research. They also provide video of the best talks from this year's event by world renowned game designer Jesse Schell, Valve Software’s Gabe Newell, Sheryl WuDunn’s conversation with Laura Pincus Hartman from Zynga.org and Pierre Guillaume Wielezynski from the UN World Food Programme, and US Department of Education’s James Shelton. Several times I have referred back to some of the early visionaries in the area of virtual globes and GeoGame-like simulations. 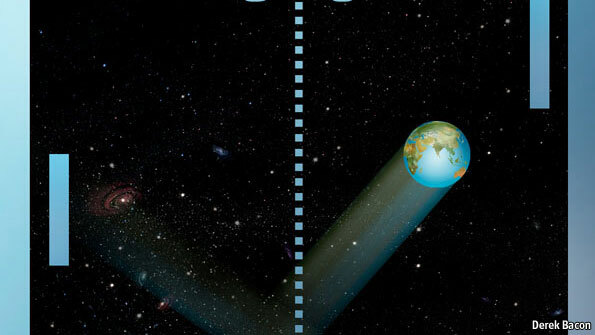 Al Gore is frequently mentioned because of his "Digital Earth" speech and David Gelernter's "Mirror Worlds" vision from 1991 seemed to me as the most insightful and detailed account of what we currently see emerging. 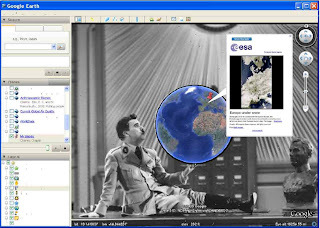 But as I was going through notes form a research meeting a few years back I found a note on "...a vision of a large globe hanging above campus to display earth info..." attributed to Fuller 1962. 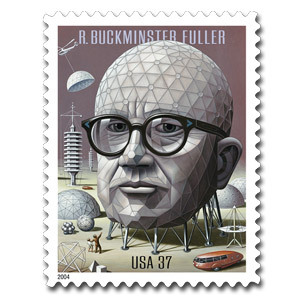 As I started looking around I found that Buckminster Fuller was indeed a man of big visionary ideas. Not only did he envision what now has been realized by Mitsubishi as the World's largest OLED globe, but he also had grand thoughts on how a "World Game" could enable a design revolution and provide a place where people would "Make the world work, for 100% of humanity, in the shortest possible time, through spontaneous cooperation, without ecological offense or the disadvantage of anyone". His book "Critical Path" sounds like a must-read and I am sure will provide great insights and ideas for our own work to develop GeoGames. As part of the Cyberlearning initiatives at NSF this event, The Cyberlearning Research Summit, January 18, 2012, promises to be a high-profile gathering in Washington DC, featuring top quality research-based speakers, who will share visions for the future of learning with emerging technologies, in style of the TED conferences. Deadline for presenter nominations and attendee applications is October 1. I am hopeful that our OSU team can attend and maybe present our ideas and plans. After many months of crossing fingers, holding thumbs (that's what we do in Sweden), and not counting the eggs until... We got NSF Cyberlearning support to develop and study learning with GeoGames! YAY! We will have two years to do exploratory, design-based research that develop our new Esri-technology platform into a learning tool and look at how learning happens within a GeoGames such as the 'Green revolution' scenario. what does a GeoGame provide in terms of authentic experiences, student engagement, and higher-order thinking? how does specific GeoGame affordances (access to rich geographic information, particular game mechanics, collaboration opportunities, etc) help/hinder learning? Our fabulous team (me, Rajiv, Kathryn, and Andrew) will approach these questions using the pattern of design-based research (Barab & Squire, 2004) where we gathering data from users before, during, and after playing a game. By doing this repeatedly with each new version it will help both technical and content design improvements as well as to better understand how people learn using this technology. Our small team look forward to do some serious development of the next generation geographic live online map game. What's in store then? Through a new partnership with Esri we will work with GIS technology to put all game functionality into a browser environment so there is no need for the sometimes cumbersome installs and Java downloads that we had to deal with in our first prototype. This also allow us to easier tap into the rich support for geospatial processing that no existing gaming platform can provide. Maybe the folks at Epistemic Games are closest to what we are looking for. Their Land Science/Urban Science games take a new spin on planning games like Sim City by incorporating the real world in the game dynamics. The benefits are obvious. Not only do we get a joyful experience, but there may actually be some important knowledge generated for use by non-participants. I look forward to hear Art Graesser and David Hatfield this Friday present here at OSU on Embedded Assessment in Video Games. When: Friday, June 3, 11-1 p.m.
Roper Public Affairs. 2006. National geographic-roper public affairs 2006 geographic literacy study. New York: GfK NOP, 89p. Steinkuehler, C., & Chmiel, M. (2006). Fostering scientific habits of mind in the context of online play. In Proceedings of the 7th international conference on Learning sciences (p. 729). International Society of the Learning Sciences. We're wrapping up an exciting visit by Mike Batty (http://www.casa.ucl.ac.uk) here at OSU. He has generously spent many hours with faculty and students, discussing cutting edge spatial visualization, simulation, and modeling ideas. Of particular interest to this blog is the work on loading game engines and Second Life with spatial data through which the game avatars get to interact directly, sort of, with the virtual landscape model, which then becomes...real, sort of. Reality is broken! Lots of other innovative ideas and examples can be found on the http://www.digitalurban.org/ blog and in this video. 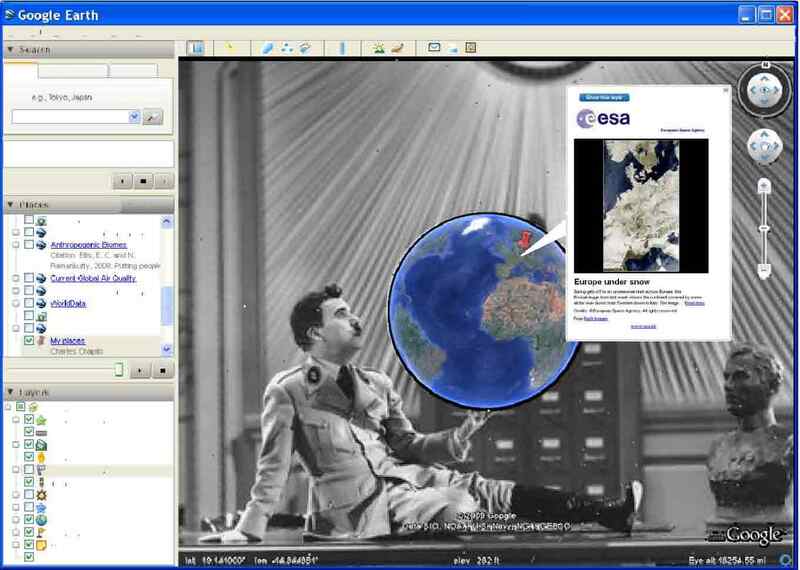 Neogeography: disseminating geographic content with Web 2.0 technologies from Andrew Crooks on Vimeo. Finally there seems to be several initiatives underway to combine the power of GIS and Gaming together. This year's GeoDesign meeting had several speakers mention games as a potential for simulation of policy or design scenarios. MITAR Games is a current project at the MIT Step Program http://education.mit.edu/projects/mitar-games that take augmented reality into the hands of teachers and students. Another interesting AR platform is provided by Layar. This company based in the Netherlands provides a development platform for mobile devices and all kinds of fun, serious, useful, and weird augmentation is featured in their layer catalog, 400+ layers in the U.S. Still, playing pacman in real life, running around the streets of Columbus and being chased by those monsters...not sure, but absolutely sure I want to learn & develop tools for geography education.